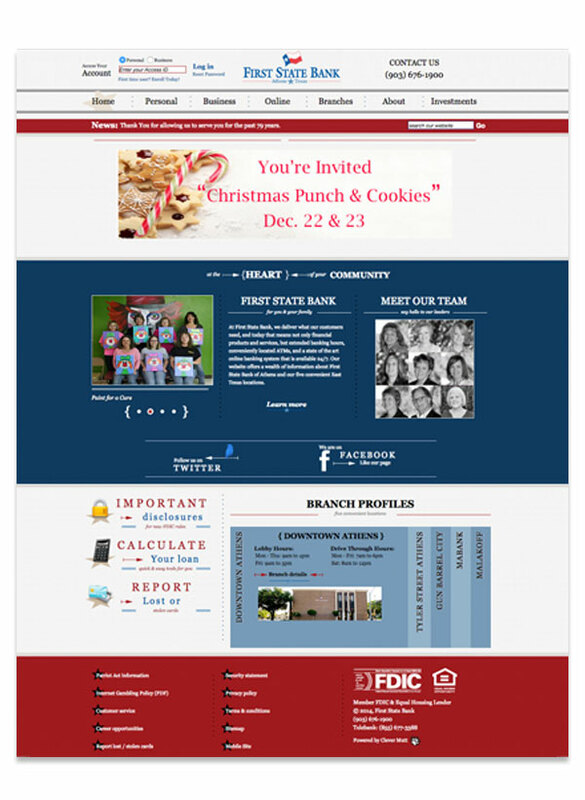 "Thank you so much for building our awesome website. As you can tell, I absolutely love it.....you made all of my crazy dreams come true with our site, and I can't wait to share it with others!" "The Clever Mutt™ Team continues to impress me with their attention to detail and initiative. That type of effort is what I would expect out of a good employee but not what I am accustomed to receiving from third parties. Thank you for your excellent customer service." 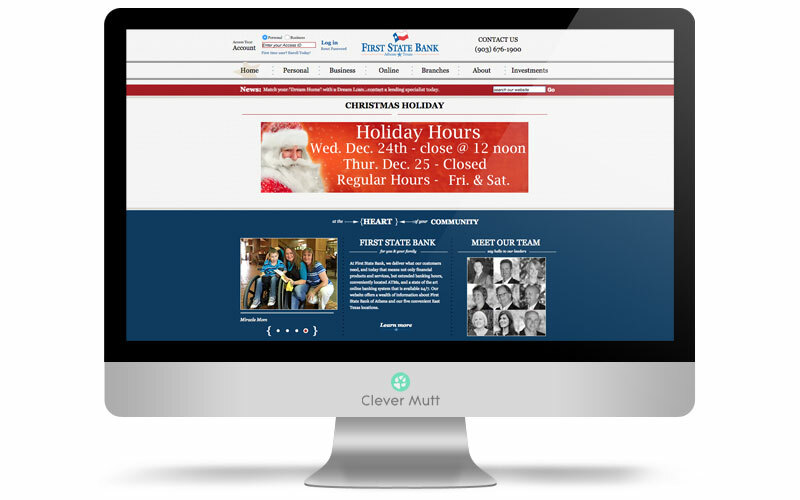 Clever Mutt™ were hired by First State Bank to provide a variety of services included custom website design powered by the Clever Mutt™ Portal web CMS for self-management, custom web software applications and email marketing services. 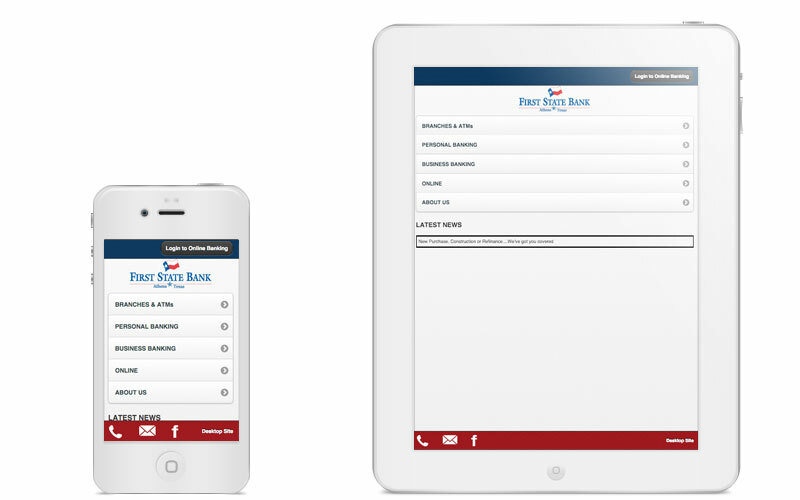 First State Bank, Athens, Texas, was established in 1935 as Farmers and Merchants State Bank. As a community bank, we provided a much needed service to the farmers, ranchers and business owners in Athens and throughout Henderson County and the surrounding communities. Over the last eight decades we've seen incredible growth, not only in our bank but in the communities we serve.